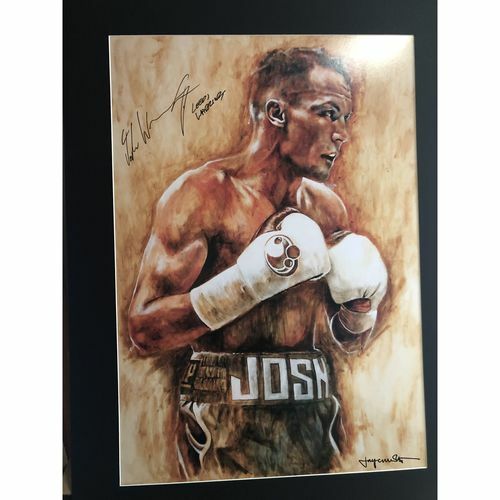 A hand signed limited edition print of the Leeds Warrior Josh Warrington. Warrington holds the IBF featherweight since May 2018. This piece is a print from the original painting undertaken by Jay Connelly and has been framed to a professional standard.